Hard Money Brooklyn Just Closed On Multi-Family Property On Holland Ave Bronx NY ! [New York, NY] August 24, 2012 -- Hard Money Brooklyn is a private moneylender that offers hard money loan financing for residential and commercial real estate. 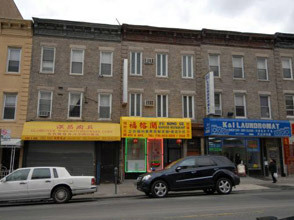 Recently, the Group announced that they just helped another investor gain access to the funds he needed to purchase a 3-Family Residential Building on Holland Ave in Brooklyn, New York. Most notable about this transaction are several key aspects that are not commonplace in today's lending market. First, this entire deal was completed WITHOUT an appraisal. The borrower was able to provide the financing without having to incur the lengthy and costly process of valuing the property. Second, interest was set at an affordable rate of 14%. Hard Money Brooklyn is in a position to offer cash at interest rates that work for the borrower. Lastly, the borrower was able to secure the financing they needed in less than 14 days. The time it took to underwrite the loan and deliver the funds is not possible with traditional bank lending. Hard Money Brooklyn continues to provide exceptional service, straightforward borrowing guidelines and expedient funding to real estate investors that deal in Residential, Commercial, New Construction and Land. It is no wonder why more and more investors turn to Hard Money Brooklyn. 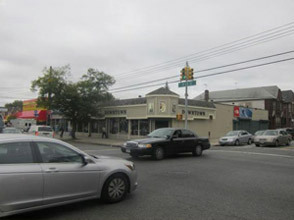 For more information on Hard Money Brooklyn or to secure the financing you need, visit www.hardmoneybrooklyn.com.